In this week’s, new feature update we dicuss our software’s ability to track grain contracts. We also able to track open orders you put in place across these five contract types. This functionality allows the software to calculate your daily average cash price, incorporating both sold and unsold bushels. All basis contracts are factored into your revenue calculation by applying the appropriate futures price to the basis value. Futures hedges and HTA contracts incorporate a user-defined basis estimate. We are currently working on an intuitive strategy-specific way of tracking your option hedges. 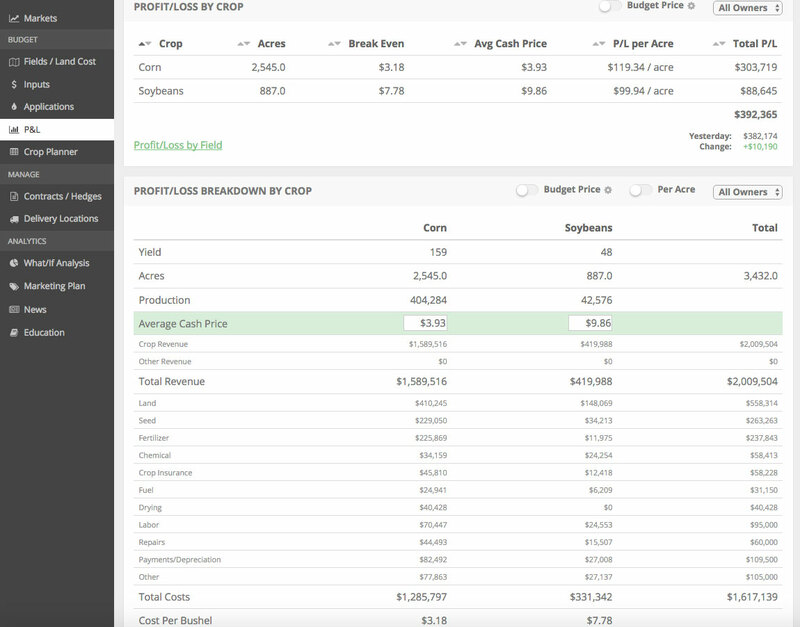 All-in-all, grain contracts are the building block of any farm income statement and we’ve tried to model our software after the real-world sales types you use in your operation. If you’re interested in speaking with us further, please schedule a call by clicking the button below.